Jennifer Gardner, Manager of Programming, Community Engagement and Outreach has worked in mental health and community development for over 20 years. 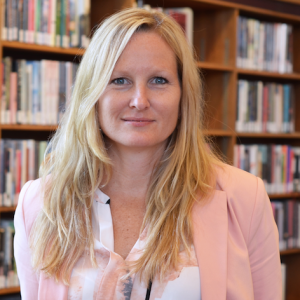 In early 2018, Jennifer joined Oshawa Public Libraries bringing her leadership in healthcare, education, and community collaboration to the organization. Jennifer holds a degree in Education, a diploma in Recreation Leadership, as well as certification in health and safety and vocational rehabilitation. Committed to service, Jennifer has worked with several non-profit boards and associations dedicated to helping people move forward in their lives. When not working, Jennifer enjoys family life, exploring the outdoors, playing hockey, dancing and of course reading books.